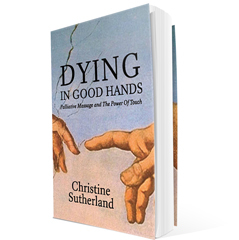 Dying In Good Hands will show the practicality of respiratory, digestive and circulatory palliative massage to relieve pain and discomfort, bringing love and affection through touch. © 2019 Christine Sutherland. All rights reserved.